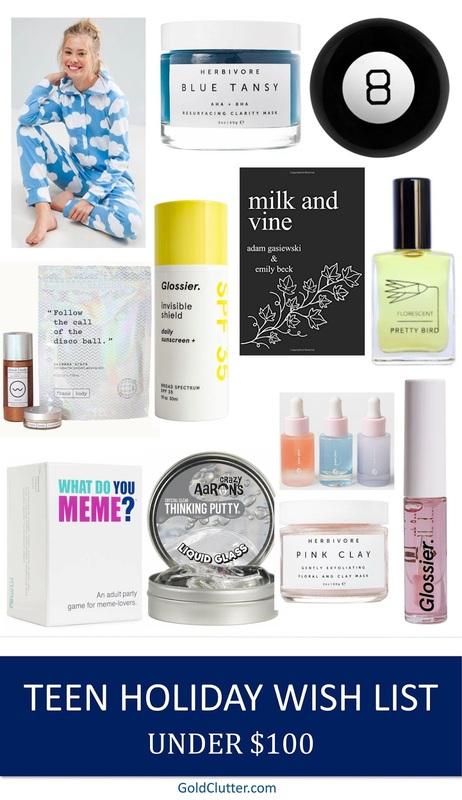 I'm back with another gift guide! Today, I decided to share some items that will be helpful for staying fit all year long. I know that some people start on their New Year's resolution of exercising early, so I thought this would be the perfect gift guide to share. 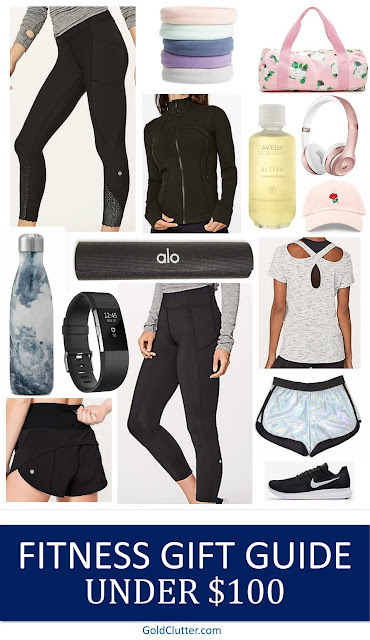 I know that lots of people are motivated to workout when they have new workout clothes, so I decided to share my picks for the perfect gifts. Almost everything is under $100, so it should be relatively affordable with some items under $15. Holographic Shorts - These shorts would add the perfect flair to your workout outfit. They'd definitely motivate me to go workout. Floral Gym Bag - This gym bag is the perfect size to fit all your essentials in. I love how it comes in so many patterns that are all adorable. Rose Hat - If you ever have a bad hair day after your gym time, this is the hat to throw on. The small rose embroidery is so cute. Fitbit Charge 2 - I personally own this exercise tracker. It looks so sleek and does a great job of tracking my activity. Blue Granite S'well Bottle - Everyone who owns a S'well bottle is obsessed with it. This marblesque pattern is so beautiful with all the different shades of blue. Ponytail Holders - These ponytail holders are perfect for exercising and when you're on the go since they won't leave marks. Alo Yoga Mat - This brand makes great quality leggings, so they're yoga mat is sure to be of superior quality. Nike Flyknit Sneakers - I've always wanted to try Nike's flyknit sneaker style. This pair has a seriously sleek design. Rose Gold Beats Headphones - I've heard nothing but good reviewss about Beats' headphones. This style comes in so many gorgeous color options. Aveda Active Composition - Aveda makes the most amazing products, so I'd love to try out this oil after an intense workout. Lululemon Define Jacket - This slim-fitting jacket is sure to keep you warm all winter long when you walk from the gym to your car. Lululemon Cross Back Short Sleeve - This shirt has the cutest criss-cross in the back that adds the perfect spice to any outfit. Lululemon Speed Up Shorts - Everyone I know owns these shorts. They have the perfect slits to keep you cool while you work out. Lululemon Polka Dot Tights - These tights are so cute with their polka dot dot bottoms. I'd love to rock these all winter long. Lululemon Crops - The leggings have the perfect pockets for your phone and keys while you workout. If you're in need of more gift guides be sure to check out my holiday wish list or my sister's holiday wish list. My Lust List guides have excellent ideas for gifts with many of the items under $50. Most of the items are still being sold. Here's January, February, March, April, May, August, September, October, and December's lust lists. My graduation gift ideas would also make amazing gifts for students graduating in December/January or in the spring. 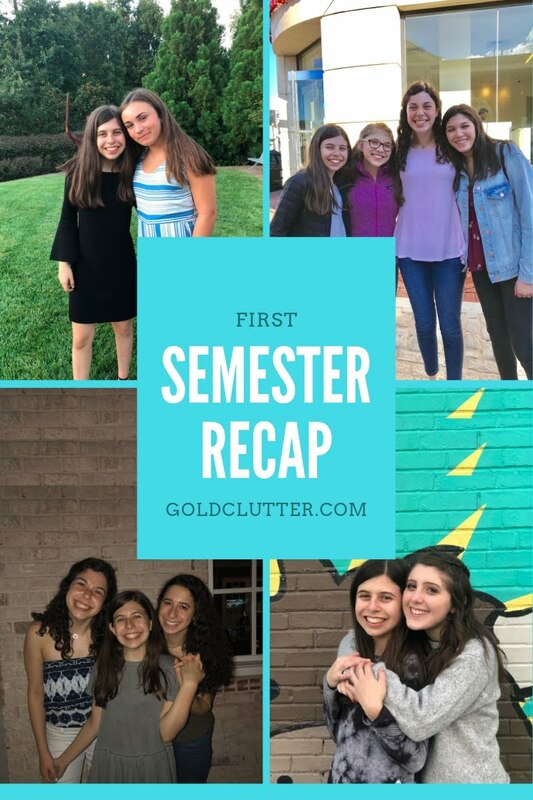 This week was such a great week! Even though I have finals, I managed to make time for myself and to hang out with my friends. I'm so happy that my friends are just absolutely amazing. Let's get into this week's Step Into My Week. I had finals this week. Luckily, my finals schedule wasn't too bad. I ended up having finals in world history, math, and English only. I'm a little nervous about my world history grade, but I feel confident in my math exam. I'm pretty sure I find out my grades in January. My school's theater program put on a show on Monday. It was definitely a little stressful having finals this week, but the show turned out wonderful. I was part of run crew instead of costume crew this time. I had a great time in this new role. It was a little weird for me to go put props and set pieces on stage in the middle of the show since I hadn't done it before. I got mouth surgery to remove my wisdom teeth. I was totally expecting to say something funny, but the laughing gas must've worn off by the time the surgery was over. Anyways, I'll be recovering this week. Hopefully, it'll give me extra time to put together blog posts. I hope everyone has a great next week. We're almost to 2018, so make the rest of 2017 count. I'm excited for 2018, but 2017 was also a great year for me. It's been a crazy past few weeks! Currently, I'm gearing up for finals over the coming days. I luckily don't have finals in every class, but most of my finals are on Wednesday and Thursday this week. I'll definitely be studying a lot this week leading up to them. The snow on Friday was just a dream. I came to school with doubts of getting inches of snow but left school with snow on the ground. I had lots of fun playing in the snow. I got to go sledding with my sister. We both forgot how cold sledding can get. We were freezing by the end of it. I hope the snow in December means we'll be getting snow in January or February. My school's theater performances have been going on. I've had a lovely time on run crew instead of the usual costume crew. I love the fast action part of having to maneuver set pieces on and off stage quickly. 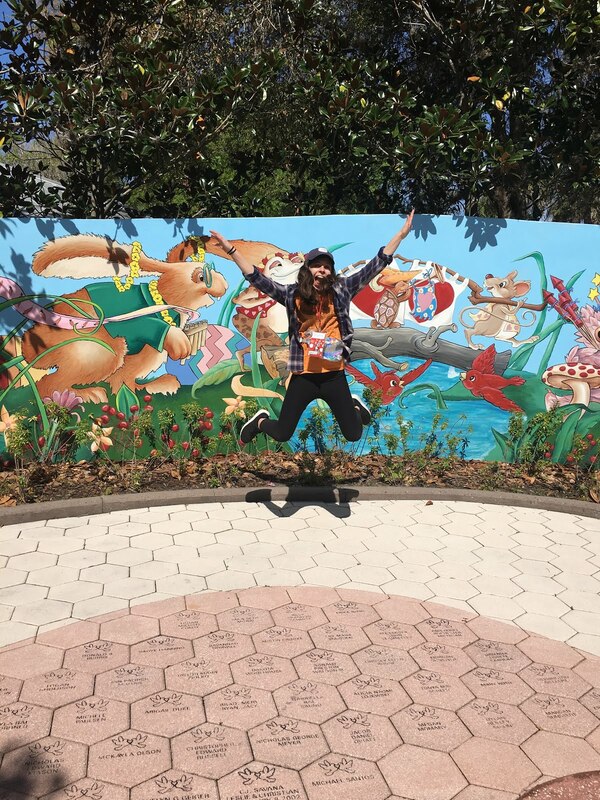 I wanted to feature a new blogger I recently discovered. Elle's posts are always so thoughtful and beautifully written. She writes amazing inspiration and beauty posts. I absolutely adore this post on great hairstyles for Fall and Winter. I'm excited to test out a few of these styles over winter break. I'm stepping into high gear with this year's editions of gift guides. I've already shared my holiday wish list. Today, I'm featuring my sister's holiday wish list. She picked out lots of products teen will be vying for this holiday season. I know I'd love to receive a few of the products she picked out. Cloud Print Onesie - This cloud onesie is so cute! It has such a playful print, and it looks super cozy. Magic 8 Ball - These magic 8 balls can provide hours worth of entertainment. I'd love to spend an afternoon asking random questions and get funny answers back. What Do You Meme? - I've been seeing this game all over the internet. I'd love to get this game to play with friends. Milk and Vine - This book is a hilarious spin-off of Milk & Honey. I love how it's all made up of Vines. Glossier Invisible Shield Sunscreen - Everything Glossier makes is fabulous. I'd love to try out their version of sunscreen. Glossier Super Pack Serums - I'd love to try out Glossier's serums. The packaging is absolutely gorgeous. Glossier Lip Gloss - I know a few people who tried this and love it. I love how this lip gloss has the perfect glossy look. Herbivore Pink Clay Mask - This is one of those brands I've had my eye on for years. I'd love to try out this face mask. Herbivore Blue Tansy Mask - I've seen this face mask all over the internet. I'm sure the color would look so pretty on. Shimmer Bomb Kit - A lot of the high schools in Atlanta go all out for football games. Everyone covers themselves in glitter. This looks like an easier way to avoid making a complete mess. Pretty Bird Perfume - This perfume bottle is absolutely gorgeous. I'd love to smell the earthy fragrance. Crazy Aaron's Super Scarab - The DIY slime craze definitely took the internet by storm this year, but this store bought version is so pretty. I love this galactic take on the trend. Crazy Aaron's Liquid Gas - This clear slime is a clear favorite (no pun intended) at toy stores across the country. My Lust List guides have excellent ideas for gifts with many of the items under $50. Most of the items are still being sold. Here's January, February, March, April, May, August, September, October, and December's lust lists. My graduation gift ideas would also make amazing gifts for students graduating in December/January or in the spring. 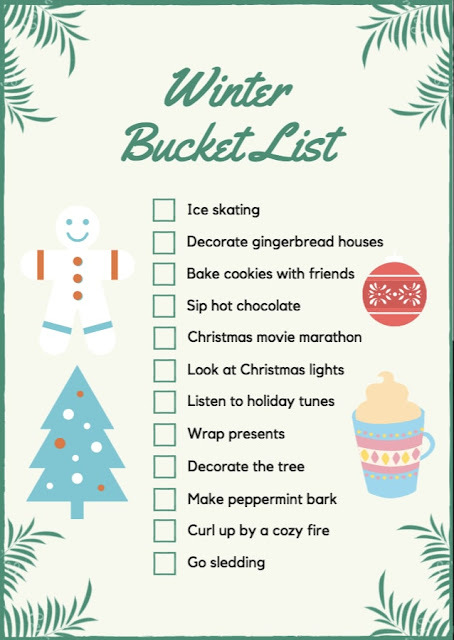 I've seen tons of bloggers make bucket lists for each season. I decided to make my own version after following a lot of my favorite bloggers' bucket lists. December is definitely one of those months where I feel like I'm constantly trying to tackle my to-do list. I made this list so I hopefully can do things besides study for finals. I'm definitely going to curl up by a fire while I study this weekend. Hopefully, this makes studying all weekend a little more bearable. This upcoming month is going to be a crazy one. I have 2 weeks of finals before I'm on winter break. These next 2 weeks are going to be chock full of theater performances, finals, and other school projects. I'm pushing through the massive to do list these next few weeks. I'll definitely be resting a lot over winter break. Hi I'm Sophie. A self proclaimed daydreamer lusting over mountains, burritos, and stripes. You can typically find me with a pair of Chacos on. Gold Clutter Copyright 2016. Powered by Blogger.